To provide regional media relations support across Asia for packaging & labelling materials technology leader Avery Dennison, as part of a globally managed PR program. In China, this included ongoing media relations work to enhance the company’s brand profile in the local market and also supporting trade show participation with media interviews. 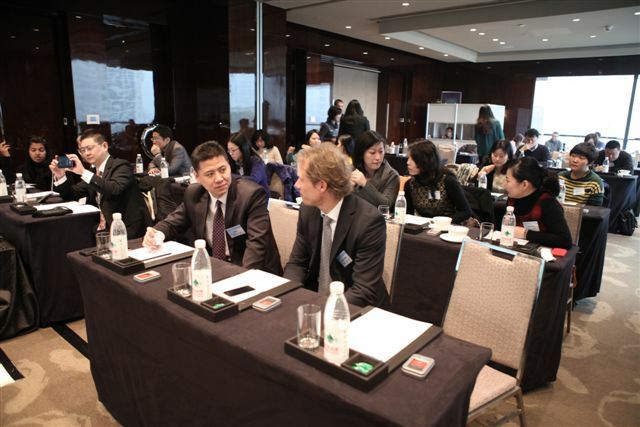 Through a media round table in at the Koreapak 2012 exhibition in Seoul, Korea involving 30 trade and business journalists, Avery Dennison were able to introduce themselves and discuss their unique technology and global leadership position in intimate detail. A press conference organised for Avery Dennison’s plant expansion in Pune India, supplemented by one on one interviews with their global CEO and select business media helped raise the company’s profile in the India market and underline its ongoing commitment and investment in the country. EMG Asiacom’s local teams also helped to promote the Avery Dennison Foundation’s ‘Spirit of Invention’ scholarship program in both China and India through local media activities. Media coverage generated in key Asian markets that helped boost the company’s profile in the local markets and communicate its ongoing commitment to key, high growth markets across Asia. All media relations activities were managed and reported centrally through EMG’s Online PR Management Portal™. To raise the awareness and interest with key stakeholder groups across Asia in the run up to the 2010 and 2011 JEC Asia exhibitions in Singapore. A multi-country campaign managed centrally to provide one central contact and coordination point for the client. EMG delivered an integrated media relations campaign over 2 years involving message and news development, localisation and dissemination to the APAC trade and business media in Singapore, Indonesia, China, South Korea, India and Australia. All PR content was developed in English and localised and adapted making sure there was as much local relevance and focus as possible for each target country. A range of on-the-ground activities helped build local relationships with the media in each country and a deeper understanding of the JEC exhibition. Press conferences were held in Beijing in both 2010 and 2011 with over 30 trade media attending each time, a media round table was completed in New Delhi involving 11 key media and dozens of one-to-one interviews were conducted in Singapore during the exhibitions. Well over 600 media clips were generated and the PR campaign was crucial in building up the profile and awareness of the show across the key Asian markets, which helped strengthen exhibitor confidence and helped boost the visitor numbers.